With the Iris Ceramica Group decades of experience in creating high tech ceramics, Porcelaingres has produced an innovative, creative product for all needs and tastes. 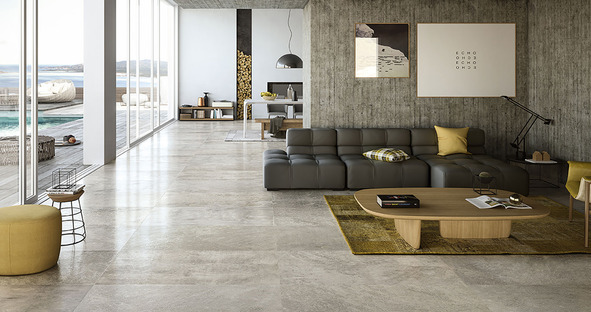 These versatile and hard wearing porcelain tiles are available in a wide range of colours, surfaces, sizes and structures, like in the case of the stone effect Mile_Stone and Rusty Stone. Stone has accompanied man through the course of history and the development of architecture, covering the spaces of everyday life with strength and energy, and emanating a timeless beauty. With its unique and exclusive colours and shades, stone makes us feel at home and gives a feeling of protection and resistance that is greater than any other covering material. 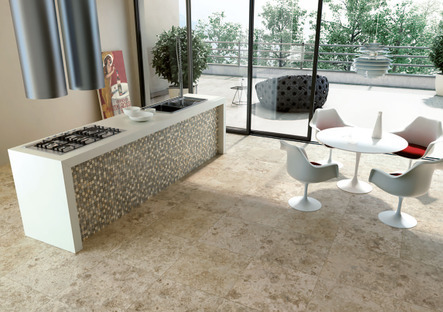 Today stone is in a new phase of technical development, thanks to the properties of porcelain. 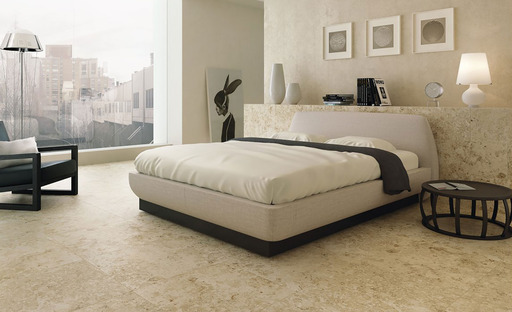 High quality porcelain tiles are the end result of production that starts by observing natural processes, passing through the selection of elements like clay, sand and minerals to reproduce the warmth, pressure and extremely high temperatures of geological processes over millennia. Porcelain is now a material that resists the strongest mechanical impact and foot traffic. It has gone beyond its initial use as a covering to become the main material in an architectural project, not only in homes and businesses, but also in public works like squares and staircases. 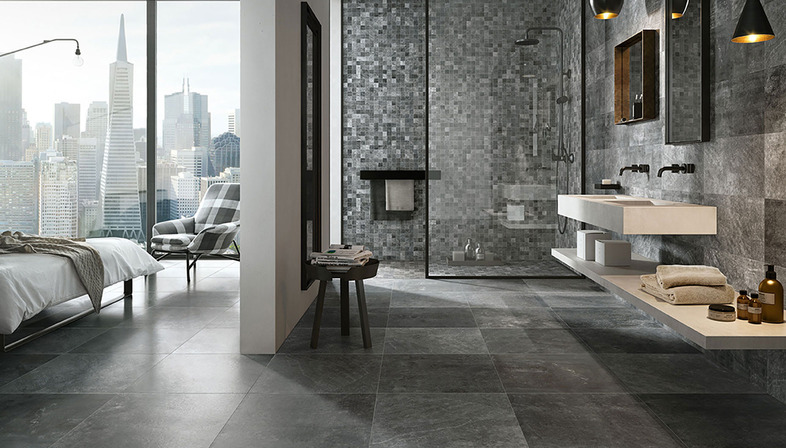 Recreating these aspects requires creativity and innovation, the qualities that are part of the best modern floor and wall coverings in porcelain, like those by brands in the Iris Ceramica Group. 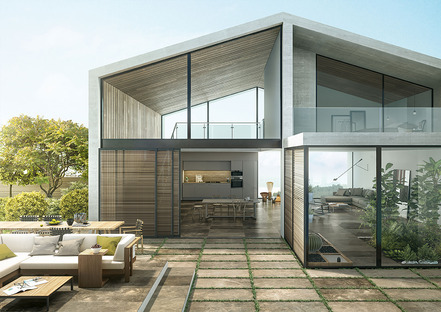 While creating the best technical and aesthetic ceramic Made in Italy for an international market, the Iris Ceramica Group explores the potential of surfaces for interiors and exteriors, basing its production on respect for the strictest rules of sustainability, both in processes and the end product. Its decades of know-how contain all the skill of the Italian artisan tradition. It is a compendium of tradition and technique that results in a product that is easy to lay and to clean and extremely resistant to wear and tear. The Iris ceramic tradition has gone beyond its home borders in the case of Porcelaingres, a group brand located in Vetschau, a little village near Berlin, in the heart of Europe, with a plant that recycles broken and waste pieces, purifies and re-uses water and is self-sufficient in producing energy for its production line. In the Porcelaingres collections the high quality porcelain produced in Germany is extraordinarily versatile. Porcelaingres ceramic surfaces are available in a wide range of brand new application solutions that "become an integral part of furnishings for offices, kitchens, living rooms and bathrooms, as well as for exteriors like ventilated facades or large paved areas". 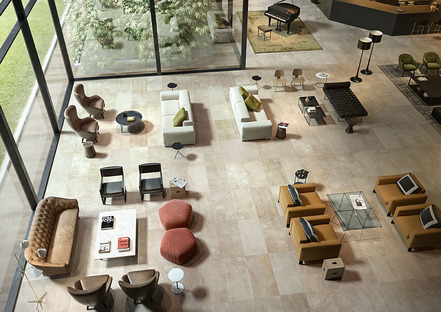 The stone-effect floors and coverings in the classic Porcelaingres collections include Mile_Stone and Rusty Stone. 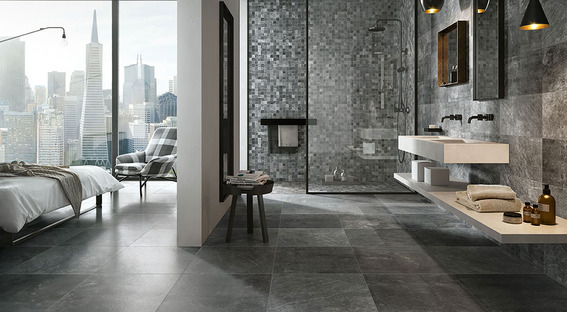 Available in four varieties: Carbon Black, Rusted Brown, Faded Beige and Chalky Grey, Mile_Stone is the epitome of Porcelaingres production, a product in which nature and technology combine. 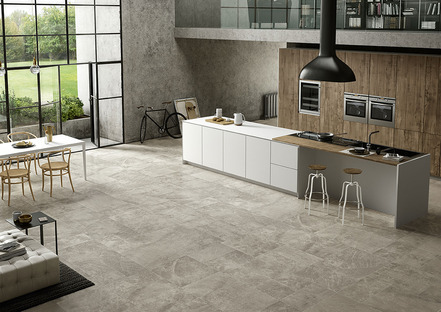 These four variations on the theme of erosion, created by the action of time on rock, are particularly suitable for elegant contemporary floors, to combine both with a more traditional and rustic style and with an urban and post-industrial atmosphere. The three varieties of the Rusty Stone collection (Grey, Silver, and Gold) create atmospheres inspired by ancient stone, offering "a journey into pre-history, surrounded by shades that re-evoke the Jurassic period". 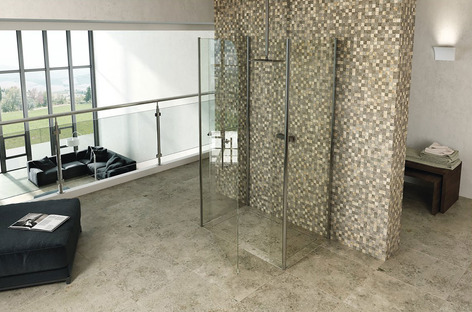 The stone effect of Rusty Stone captures the most elegant and natural synthesis of stone, in one of its most essential and current forms and without the constraints of passing, temporary fashions.